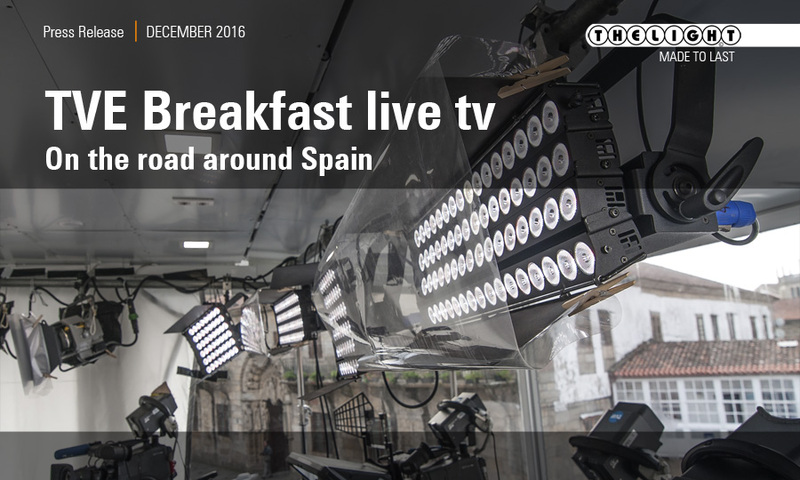 THELIGHT has been selected by Spanish National TV as main supplier to light the two sets installed on its new mobile studio truck. The live show is been broadcasted every day from different locations around Spain. 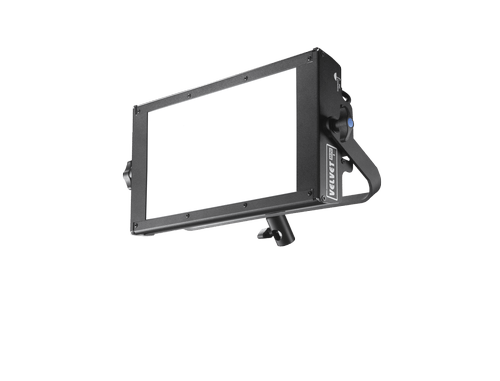 • Instant adjustment of light intensity and color temperature to match the changing daylight coming from the real locations along the three hours live show. • Simplify set up without external ballast or power supplies. 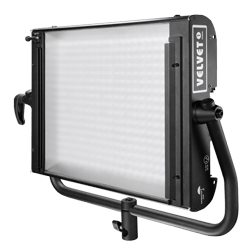 • Light output enough to compensate direct sunlight. • Directional light and minimal shadows. • Instant start and DMX remote control. • Eliminate accidental bulbs explosion and reduce maintenance cost. • High CRI to get natural skin tones. 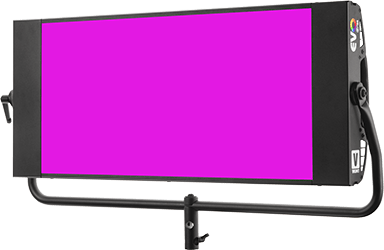 TVE News department owns a wide range of THELIGHT-VELVET Articulated LED panels to supply their mobile studios and their different requirements for interviews and talk shows with politicians and celebrities. The light designer main requirement was to set up a powerful and flexible light system to match the light on the background while being sure the lights did not disturb the presenter and the guests eyes. • Quick and simplified installation with daisy chain power and control, less cabling and no ballast or dimmer required. • Maintenance free with no fans, bulbs or gels to be replaced. • The huge savings from the very low electric power consumption produce a ROI (return of the investment) close to one year. • THELIGHT-VELVET Articulated High-power LED fixtures can be customized to each project requirements. 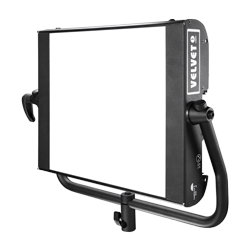 • Total light control over beam angle, dimming, color temperature and green/magenta correction. • 100% silent fan free operation.